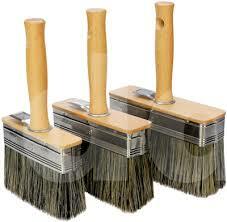 These huge thick brushes hold a lot of stain and cover a lot of area quickly. Excellent for both application and for back brushing. Removable handle allows you to attach an extension pole. China Bristle Brush for oils and stains.